Details were recently announced for a modern Columbus jazz tradition that keeps great outdoor jazz in season into fall. 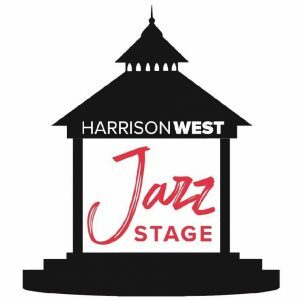 The Harrison West Jazz Stage returns for its sixth season September 9 – September 30 at the Harrison Park Gazebo, located at West First Avenue and Harrison Park Place in the Harrison West neighborhood. Founded by Harrison West residents Dara Schwartz and Mark Subel (also the founder of JazzColumbus), today the series is operated by Jazz Arts Group in partnership with Harrison West Society. This year’s schedule is another slate of fun jazz to entertain the entire family: Birdshack on September 9th, FLIPPO on September 16th, Shawn “Thunder” Wallace Quartet on September 23rd, and New Basics Brass Band on September 30th. Each week’s concert includes a featured food truck (see lineup below) and is preceded by musical activities for kids presented by Musicologie. Keep reading for full details from JAG, and get ready to enjoy a pleasantly varied schedule of free neighborhood jazz concerts! Columbus, OH – The Harrison West Jazz Stage returns for its sixth season September 9 – September 30 at the Harrison Park Gazebo. Presented by Jazz Arts Group in partnership with Harrison West Society, this series of FREE concerts features local jazz musicians and showcases a wide range of jazz styles over the four concert series. Concerts take place from 1:00 – 2:30 PM at the Harrison Park Gazebo, located at West First Avenue and Harrison Park Place. Each concert is preceded by musical activities for children, provided by Grandview Heights based music-lesson studio, Musicologie. All performances are FREE to the public. Food may be purchased from participating food trucks. A rain date of October 7th has been established in the event of inclement weather on any of the scheduled dates. Each week hundreds of residents from all over the city gather to relax on a Sunday afternoon and take in the sounds of jazz set against the riverside park and gazebo. Cheers to the sponsors who are helping to make it all possible this year: City of Columbus, Harrison West Society, Wagenbrenner, CoverMyMeds, Katalina’s, Thompson Hine, and ABITEC. Founded in 2013 and performing at the Harrison Park Gazebo, the Harrison West Jazz Stage seeks to celebrate the work of local musicians across a variety of genres, foster community among neighbors, and raise the profile of the Harrison West neighborhood. For more information, visit our Facebook page at www.facebook.com/HarrisonWestJazzStage.